RFC Santa Breakfast Is Sunday, December 9 -- Save The Date & Plan to Join Us! 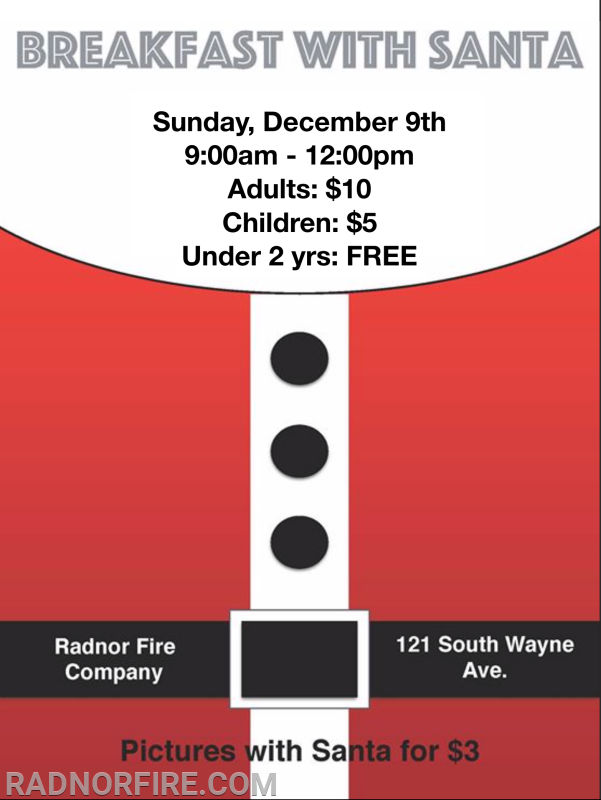 Save the Date and plan to join Radnor Fire Company and the Radnor Volunteer Auxiliary on Sunday, December 9, from 9 a.m. to 12 p.m. for RFC's Santa Breakfast. As always, there will be plenty of good food and cheer. And Santa will make a special visit to RFC to take pictures with children and families. Adult tickets are $10, children are $5 and anyone under age 2 eats for free. Pictures with Santa are $3. 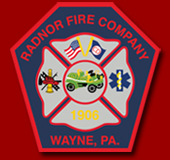 All proceeds benefit Radnor Fire Company and the Volunteer Auxiliary.